The Call for Proposals (CFP) is now closed. For any questions regarding the CFP process, please email cfp@cncf.io. KubeCon + CloudNativeCon brings together adopters, developers, and practitioners to collaborate face-to-face. Engage with the leaders of Kubernetes, Prometheus, and other CNCF-hosted projects as we set the direction for the cloud-native ecosystem. Reminder: This is a community conference — so let’s try to avoid product and/or vendor sales pitches. CNCF events are an excellent way to get to know the community and share your ideas and the work that you are doing. You do not need to be a chief architect or long-time industry pundit to submit a proposal, in fact, we strongly encourage first-time speakers to submit talks for all of our events. Our events are working conferences intended for professional networking and collaboration in the CNCF community and we work closely with our attendees, sponsors and speakers to help keep CNCF events professional, welcoming, and friendly. If you have any questions on how to submit a proposal or the event in general, please contact cfp@cncf.io. 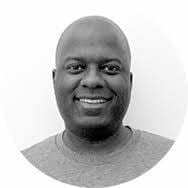 Bryan Liles is an Engineer at Heptio. He leads the Developer Experience group, which creates solutions to help developers be more productive in Kubernetes. When not working, Bryan builds and races cars and drones. Please read this blog post to learn more about how we select talks, what new changes we’ve made to the review process, and what you can do to increase the chances of your submission being accepted. Anything that you are presenting on must be open sourced. You are limited to submit only two talks as a primary speaker OR can be listed as a co-speaker on up to four proposals. We will not select a submission that has already been presented elsewhere or at a previous KubeCon + CloudNativeCon. If your submission is very similar to a previous talk, please include information on how this version will be different. 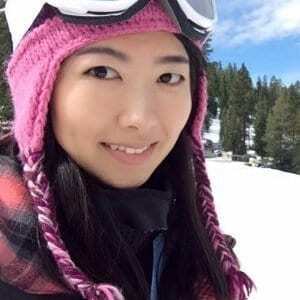 If you plan to submit a proposal to speak at KubeCon + CloudNativeCon in Europe, China, and North America 2019, please know that if you submit the same talk to all three events, and the talk is accepted to one, it will automatically not be accepted to speak at any of the other events to maintain content diversity. Why should YOU be the one to give this talk? You have a unique story. Tell it. Be prepared to explain how this fits into the CNCF and overall Open Source Ecosystem. For more in-depth information regarding what’s new for 2019, please read this blog post, by Dee Kumar, VP of Marketing at CNCF. 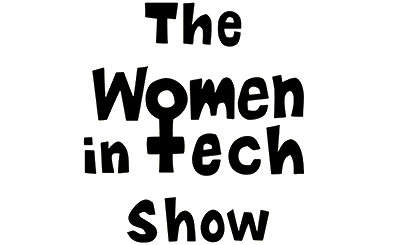 Note: All submissions with 3–5 speakers are required to have at least one speaker that is a woman and the speakers must not all be from the same company. Note: Final tracks for the conference will be based on accepted submissions. Provide a detailed and focused description with a max of 900 characters. This is what will be used on the online schedule if your talk is accepted. Provide more in-depth information in the “Benefits to the Ecosystem” section. This is your opportunity to elaborate on your content and share any more details with the committee with a max of 1,500 characters. Provide a biography for all speakers, including previous speaking experience. Provide resources to enhance your proposal. These can be videos of you or your speakers presenting elsewhere, links to personal websites (including LinkedIn), links to your open source projects, or published books. If you choose to submit a tutorial please explicitly mention what the audience will learn from or walk away with after attending your session. Additionally, please indicate what prerequisites (if any) are needed for the attendee to know prior to attending, and if any materials should be brought with them or downloaded ahead of time (i.e. must install Python 2.7.15) prior to attending. Your abstract will be the cornerstone of your proposal. This is the abstract that will be posted on the website schedule, so please ensure that it is in complete sentences (and not just bullet points), free of typos and that it is written in the third person (use your name instead of “I”). Kernel Weather Report (Jon Corbet, LWN.net) – The Linux kernel is at the core of any Linux system; the performance and capabilities of the kernel will, in the end, place an upper bound on what the system can do as a whole. In this presentation, Jon Corbet will review recent events in the kernel development community, discuss the current state of the kernel, the challenges it faces, and look forward to how the kernel may address those challenges. To help you further understand what is considered while the program committee and co-chairs are reviewing your proposal, please review the Scoring Guidelines and Best Practices page. If you require travel support, please be sure to answer the request for travel funding at the end of the CFP submission form. Only speakers whose talks are accepted will be considered for travel funding. All accepted speakers will receive a complimentary conference pass. For panel discussions, all panelists will receive a complimentary conference pass; maximum 4 panelists & 1 moderator.